Here’s the deal: I grew up in a meat and potatoes for supper every night household. That’s what my dad liked, so that’s what we got. I have no problem now with the fact that mom honoured dad’s preferences, but back then I did have an ongoing problem with boiled chunk potatoes. More on that later. We packed lunches on most school days until we were teenagers and dad’s work schedule allowed him to pick us up on his way home for lunch. 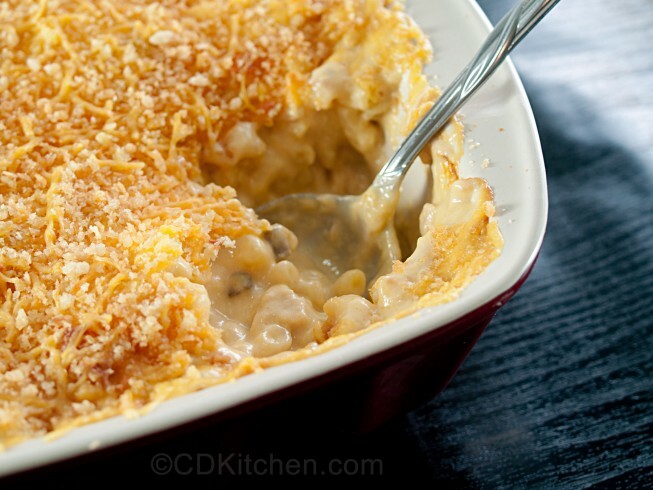 Then we got cool stuff like macaroni casserole with mushroom soup sauce and onions and oh my goodness. I have to stop here and say that this was a comfort food for years and if I wasn’t avoiding wheat I would still be eating it. I even remember one day when things weren’t going very well at school and I was so happy to find out mom was making it for lunch that it lifted my spirits right up. (OK so now you can detect the beginnings of emotional eating but seriously, that stuff was to die for). But for dad, certain foods were for only for lunch just as others were only for supper. And you didn’t confuse them and put, say, pancakes on the supper menu. Supper was meat and potatoes. Well, sometimes we had rice, and in later years some Chinese take-out, but not nearly as often as those boiled chunk potatoes. When he started having to go away on weekends for meetings once in a while, we went into pasta and pizza mode. Sure, we missed him for a couple of days, but oh that glorious Italian food! We would start planning our alternate suppers a few days before he left. I’m sure he knew. And he was probably glad because it meant that once he got home he wouldn’t have to deal with such crazy ideas. So I imagined my world as a grown up when I would never again eat boiled chunk potatoes. I planned to mash them. Every time. Whether there was gravy or not. And I did. I had a friend in junior high school with a German Gramma. One day, she invited me to go with her to her Gramma’s for lunch, and when we walked in the door I saw the dining room table spread out with roast beef, potatoes, vegetables, and an array of other wonderful things that German Grammas love to keep passing under your nose and encouraging you to eat and I’m sure my jaw probably dropped. There was even dessert. This was supper, not lunch! And I sat down to experience this new way of eating, which my friend assured me was what lunch there looked like every day. I went home and told my mom about this amazing spread and she enlightened me as to the European way of having the big meal in the middle of the day. As I got older I found out that it’s actually healthier to eat this way, but unfortunately not always practical when your husband has been working all day and needs a big supper at the end of it. So naturally, we did the typical small lunch big supper thing in our home as well, and I dreamed of retirement when we could change it up. I seriously planned to change it. In fact, when he had days off and we were gone to the city, we’d end up having treat lunches that were larger than at home, and often I wasn’t hungry for supper. After Pat teasing me about it enough, it became a standing family joke that on those days the kids better eat up because there would be no supper! I’m not sure why, but once I found myself on my own I was no longer thinking about the plan to change my meals around. I guess there have just been too many other things to get used to in this new stage of my life. But recently a lightbulb turned on in my head (I’m down to about 60 watts now that I’m over 50) and I realized that I could schedule my meals any way I like because it’s up to me, so why was I not making the switch that I always wanted to make? This realization does, of course, bring sadness because obviously if I had to choose between having Pat to cook for and putting my big meal at lunch time instead of supper there would be no contest. But because things are as they are, I went with it and started doing my main meal at lunch and I love it! I’m always hungrier at lunch; I’m up very early and using energy all morning so this way I’m eating when I’m really hungry and spending the rest of the day burning up the calories, and if I’m really working hard on something I can just keep going all afternoon without having to stop and cook. Sometimes I eat a small supper, and sometimes I just have a snack. But I feel better in the evenings and overall I’m eating less but enjoying it more. One plan I did stick with all the way through was avoiding those boiled chunk potatoes. I mashed them all. Every time. Whether there was gravy or not. It’s not chicken soup for the soul – it’s chicken soup for the garbage. And that picture is what it was supposed to look like … Let me explain. My mom often made homemade soup. She could have started her own movement “No Carcass Left Behind” because, in our house, those bones were boiled before dinner was digested (I daresay she even begged for bones from others who weren’t going to use theirs). Sometimes the pot of what would be soup was started while the bird of the moment was being carved for serving. She wasn’t allowed to add a bunch of stuff to the broth, only noodles, salt, pepper, and some extra flavour if the bird hadn’t provided enough of its own, and we gorged ourselves on that simple goodness. I liked the chicken and turkey soups, but when it came to other varieties I preferred soup from a can. I wasn’t much different than many kids of my day who preferred store-bought options to their homemade equivalents, with the exception of bread; I loved homemade bread which we hardly ever got and I remember country kids envying my store-bought sandwich bread at school because all they ever got was homemade bread! I couldn’t stand the smell of beef bones boiling on the stove so soups made from those didn’t appeal to me at all. I paid little attention to the making of soup until I grew up and decided that I wanted to be all domestic and make homemade soup for my own family. Then I did what we all probably do when we have grown up enough to recognize that our mothers know stuff: I started asking for recipes. In my defense, though, in my later teens, mom branched out and started making some cool varieties of soup that I was already enjoying before leaving home. These were the recipes I wanted (and they didn’t involve beef bones). My kids grew up with homemade soup and I became the carcass lady. I started with recipes, but after a few repeats of the same thing I quickly began to just put my own stuff together and we’d have soup for lunch or supper of whenever we wanted because I always used my biggest pot so there would be leftovers. I’m not a gourmet cook; I don’t desire to be a gourmet cook. I cook when I need to eat. Somehow my daughter developed a real enjoyment of cooking and baking and I experienced a moment of pride the other day when I picked her up for a spontaneous outing and she was telling me that she had to quickly cool off her soup before she left home. In the conversation, I realized she was talking about having made a pot of homemade soup, no recipe, and had put it into little containers for future meals. Yes! My single adult baby girl living on her own in the 21st century of prepackaged microwaveable processed instant everything is making homemade soup. Hurray for me her! Which brings me to my garbage soup. After a discussion with her regarding the safest ways of cooling soup quickly, based on my mother’s practice of filling a sink with cold water and letting the pot sit in it to cool but having to make sure you don’t forget about it when you go to bed, I boiled up my rotisserie chicken bones yesterday and put them in the sink after supper. Yes, the chicken was store-bought from the deli, but those BBQ chickens make fantastic soup! When I got up this morning, there it was, all nice and golden and looking delicious, full of bacteria I cannot even name, cooled to room temperature – sink had drained – and left overnight because I forgot. So I flushed it down the toilet. And this is why mine is not a cooking blog. To be clear, I have many more times remembered and successfully stored my soup. But when I saw the pot sitting there this morning, I had to smile to myself as several soup memories came to mind and the idea of writing about it began to churn. I’m sure even the best soup ladies have lost a pot here and there. I continue to make a variety of homemade soups myself but still, when it comes to chicken or turkey, it’s noodles only, please. There’s plenty of room in those other pots for all the extra stuff. The one soup I miss having from a can – which I don’t eat now because of the wheat in it – is Campbell’s tomato. But I’m gradually getting my own closer and closer and in the meantime the way it tastes is just fine with me. To this day, if mom knows one of us is sick, she’ll boil up a chicken. Old habits die hard. Thank goodness! Not everyone who knows you really KNOWS you, even if they’ve been in your life for many years, even if they’re related, even if they watched you grow up or grew up with you because, depending on your personality, certain things just aren’t discussed unless someone actually asks. Surprise! I’m an introvert. That term is often wrongly translated as shy, disliking other people, socially awkward, afraid of our own shadows… you get the picture. So I want to talk a little about being an introvert as it relates to social situations, what it means and what it doesn’t mean. I sometimes find that people who don’t understand us – through no fault of their own – tend to make assumptions based on what they see and what they expect, without ever knowing or thinking of asking before drawing conclusions. Introverts are generally not energized by social situations, crowds, group activities, teamwork, or noise. We work best on our own because more often than not it’s in our solitude that we’re most creative, deep thinking, problem-solving, and productive. We like one-on-one conversations, we can sometimes enjoy small group visits and definitely prefer small to large, but we have limits and we’re only energized and able to regroup when we’re alone in our own quiet space, or at least in a quiet space with someone who is also being quiet. That’s where we thrive and regain the strength to go back out into the noisy crowded world again. The world that often overstimulates our brains. That is the most distinct difference between us and the extroverts. We do love to see our friends and family and to do fun things with them; we also tend to assess the group dynamics ahead of time and prepare ourselves mentally. In groups where we feel comfortable we can be outgoing, loud and funny (often others are surprised to learn that we are actually introverts) but the energy drains from us like water through a sieve. Ok, maybe not as quickly as water, maybe more like gravy? It’s just – to put it simply – exhausting. Stage 1 – It’s going to be nice to see everyone, even though walking into this already assembled group feels uncomfortable because everyone else ahead of me has found their chair, they’re probably already in a conversation, and I’ll be walking into the middle of it all. I don’t know how I’m going to actually be able to visit with everyone because in a big group you can’t have a deep conversation (introverts prefer dialogue about important things rather than small talk) so I have to put on my mask/public self for a while. Stage 2 – This is fun, getting a chance to catch up with friends/family, I found a seat along an edge or in a corner and a few people to talk to. Glad I came. Stage 3 – Getting tired, but it’s too early to leave because I don’t want to appear rude, so I can hang on for a bit longer and see how it goes. Stage 4 – OK, I can feel myself becoming agitated and my head will explode if I don’t say goodbye now and get into my own space for a while. Smile politely, say goodbye/thank you, make sure you appear happy so you don’t draw unwanted attention to yourself, and get out the door. Now depending on the day or the situation, I can go from stage 1 to stage 4 in about an hour, or I can stretch it out to three or four hours, but either way, when I get to the last stage, I need to remove myself, while I’m still able to be polite and friendly. It’s nothing personal, nothing or no one has necessarily upset me, I’m just “peopled out”. And this is where some would assume that I don’t care to spend time with them anymore, that I’m unsociable, that I think I have better things to do. What they don’t know is that if I don’t pay attention to my need for quiet solitude, I will gradually become short-tempered and grouchy and it won’t be pretty because I might just blow up and say something we’ll all regret! I know myself well enough to know when enough is enough. Now add constant background noise like music or television to the above described social situation where people are trying to visit with each other and I can hit stage 4 immediately after stage 1, as soon as I’m inside. I understand that some people love/need to have background noise all the time, which is totally their prerogative in their own homes, and that when people get used to it they often no longer notice that it’s even a distraction from social interaction as people like myself prefer not to compete with the noise. When I arrive somewhere, coming from my generally quiet space, and there is music or television while I’m expected to visit, I’m tired as soon as I get there because I know what the atmosphere will be for this social outing I’ve accepted and I begin to calculate when I can respectably leave. Sometimes my ears actually ache from all the noise. People who don’t experience this will never understand it, and that’s OK. It’s OK that we’re different. Just understand that whatever atmosphere you choose to create for yourself might not be one I or anyone else like me can endure for very long. Do I ever have noise in my home? Of course, I do! But I don’t require it. I put on happy music if I’m painting or quilting or doing some other task where it is welcome. My TV goes on in the evening when I have specific things I want to watch. And sometimes there are actually other people in my home too! But then there is no music or TV because I want to be able to pay attention to whoever is there with me, and I would never want them to feel like watching the TV show is more important to me than their presence. I have one child who is like me in this; we each know when the other needs quiet and we both love it. And I have one who is an extrovert, loves to be on the go, having various social opportunities to choose from, and loves to talk. About everything. All the time. Poor guy – he even whispers when he knows I’m fried because he still wants to chat but tries to respect my quiet zone, even though he just can’t stop! He can only stand my quiet house for so long, but while he’s here he does his best to respect my needs and I appreciate that. Recently he experienced what happens when I’m really done, trying to be nice about asking for a few minutes of no talking (because we had just left a social group situation with background noise) and running out of ways to express that I REALLY needed to not talk anymore. I escalated from several polite and carefully chosen ways of asking for quiet to getting emotional and begging for silence to blasting out a scream I could no longer hold in. He almost spit out his drink from laughing and said: “that was a bit excessive”. I replied that I actually felt better! I’m telling you, it builds up and it’s going to come out, so don’t push me to the brink if you don’t want to see the explosion. This explosion can, of course, be avoided altogether if I’m able to remove myself and regroup in solitude. Which is why I leave when I do. And it might be sooner than you want me to leave. But unless you want me to stand up and shout for you to turn off all the damn music and shut off the TV if you want me to stay and visit with you, believe me, you are better off saying goodbye and closing the door behind me. If you’re offended or hurt because you don’t know why I left, or you’ve seen me do this many times and you think it’s somehow connected to you, please don’t assume. Just ask me. Directly. I’d be happy to explain, again, that it’s not you. It’s me. Please don’t complain about having to cook certain foods or make meals at a certain time for your husband. I cook whatever I want for myself at any time I choose, and I eat alone. Please don’t complain that laundry, dishes, and housework are not done properly by your husband. I do everything around the house myself just the way I like it done, and I am alone. Please don’t complain that your TV programming is taken over by your husband. I watch whatever I want to on TV, whenever I want to watch it, and I watch alone. Please don’t complain that even your day off is scheduled around your husband, or about not having enough time and freedom to do things for yourself because you are busy doing things for your husband. My days are my own and I have the freedom to come and go as I choose, and I am alone. Please don’t complain that big decisions have to include the input of, and sometimes disagreement of, your husband. I make all my own decisions, often in uncertainty and without the guidance I depended on because I make them alone. Please don’t complain about having to do things a certain way to please your husband. I do things whenever and however I choose, and I am alone. Please don’t complain about how you are tired – often too tired for intimacy – and your need for rest isn’t understood by your husband. I can sleep whenever I choose, I have the whole bed to myself, and I am alone. I would give anything for more time with my husband, to hear him request my apple pie, to see one more misfolded towel on the shelf, to sit beside him watching the news on TV, for one more day spent together doing anything at all, for his advice, for his affection, for his smile. So in my presence, please be thankful that you have yours, because when I hear you complain I want to scream. I know it’s not your fault. You just don’t know how much harder it is to have nothing to complain about, to have everything your own way, every single day, and to know it is only because you have lost someone irreplaceable. And you are alone.